This week, I’d like to again showcase one of my favorite Catholic novels, Passport, by Christopher Blunt, which is now available on Kindle for only $2.99. 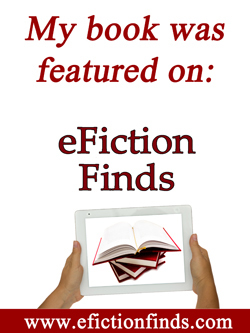 Leave a comment below before Friday, October 7th to be entered to receive a free Kindle copy. I have mentioned Passport in a previous post about Catholic Fiction (and the link to my review is included there). I have also featured this wonderful novel in a previous Fiction Friday post. To read an excerpt, click here. In 2009, Passport won the IPPY Bronze Medal for Religious Fiction. Nancy Carpentier Brown says, “I recommend this book to any adult looking for some leisure or commuter-type reading. This book is easy to read. It’s a page-turner because you want so badly for the situation to be resolved in a good way, and there are so many almost insurmountable obstacles in the way. You won’t be uncomfortable reading it because it keeps itself modest, and yet, talks about subjects you might not talk about with your friends, unless you know them really, really well, and trust them with your secrets. Passport also has a Facebook page so please consider “liking” it! Leave a comment below before October 7th to be entered to win a free Kindle copy of this wonderful book! “Hope is faith holding out its hand in the dark.” This quote by George Iles could well have been the catalyst for my first novel, Emily’s Hope, which is based on my own spiritual trials in the journey towards motherhood. Our first pregnancy 26 years ago resulted in the conception of twins. A first-time mother, I never expected anything but a child (or two) in my arms. Sadly, we lost those babies early on. 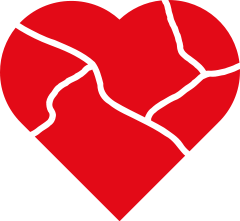 Two healthy pregnancies, resulting in the births of our oldest two sons, were soon followed by two very difficult miscarriages. After that, I was hesitant to become pregnant again because I wanted to avoid the emotional and physical roller coaster of another loss. I became filled with despair, then fear, both of which can rob a soul of hope and trust. This reaction is not unusual. Several years ago, an acquaintance of mine tragically lost her first baby at birth. Within days, she asked her doctor to perform a tubal ligation because she “didn’t want to go through that again.” I didn’t agree with her decision to become sterilized, but I understood her reaction, which was devoid of hope and designed to shield her from future heartache. I have experienced those same feelings, although I did not resort to such extreme measures. Despite our previous pregnancy losses, my husband and I felt that God was calling us to be open to more children. It was only through prayer that I was able to muster up any hope. Eventually, hope became dependent upon trust that God knew what He was doing. We were later blessed with three healthy pregnancies and we joyfully welcomed our three youngest sons to our family. 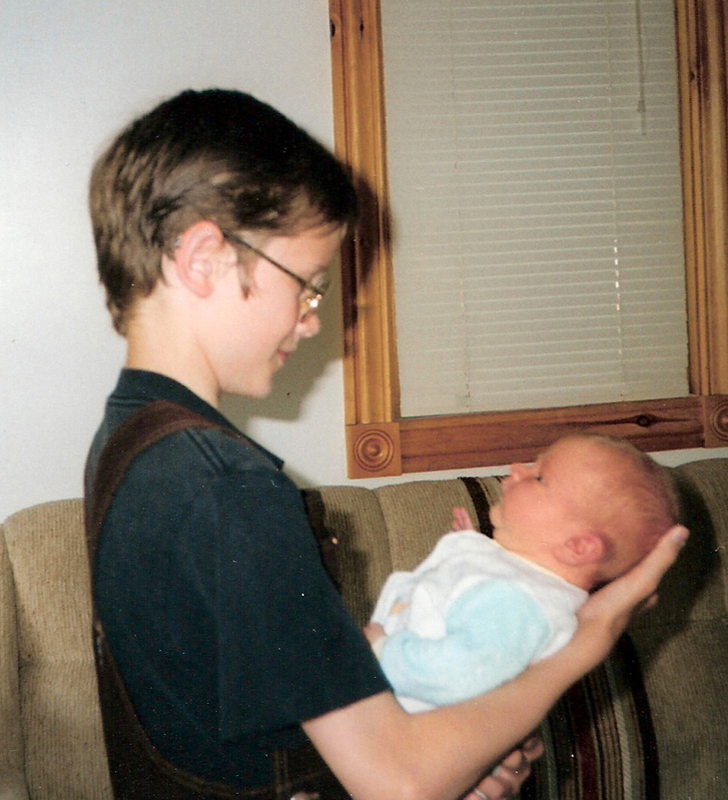 (Photo is of our oldest and youngest 12 years ago). We have, however, also had to endure three more pregnancy losses. During one particularly heartbreaking miscarriage, I cried out to my spiritual director and shared with him that I was torn between saying, “God, Your will be done,” and “Please, God, don’t make me go through this again.” My spiritual director’s hope-filled response was, “Perhaps God is asking you to sacrifice the joy of holding this child in your arms so that He may quickly hold your child for all eternity in heaven.” His comment helped me to realize how important it is to accept God’s will, whether it’s a healthy full-term infant or a cherished unborn baby He gives us for a short time. It means trusting that whatever God plans, He does so out of love for us and for the good of our souls. Today, I am the proud mother of five sons ages 12 to 24. I am also the mother of seven precious souls in heaven, children I did not get to hold in my arms, but continue to hold in my heart. Join me at RAnn’s Place for Sunday Snippets, where Catholic bloggers share their posts from the previous week. I’m going to be interviewed on Brian Patrick’s Son Rise Morning Show on Sacred Heart Radio this Tuesday, September 27th at 8:50 a.m.
I’ll be talking about my latest book, Stealing Jenny. To listen, go to the Son Rise Morning Show website and click on the “On the Air: Click to Listen” button to the right. 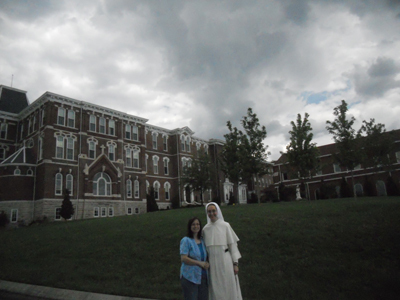 A few weeks ago, I traveled down to Tennessee to visit my youngest sister (Sr. Elizabeth Grace) at the Dominican Motherhouse in Nashville. It was a great weekend with my sister and I especially enjoyed the fellowship of the other sisters. One of the advantages of staying at the motherhouse was that I had the opportunity to participate in Holy Mass, Lauds, the Divine Office, the Rosary, the Angelus and other periodic prayers throughout the day. One thing is for certain: these sisters pray a lot. Now, that may sound silly. Of course, they pray a lot. They’re nuns. That’s what they do. The first time I visited my sister at the convent last year, I noticed that the sisters seem so radiant, like they’re glowing with happiness. It’s the same sort of expression I’ve seen on people who are in love. Now…look at the photo. What do you see in the clouds above us?